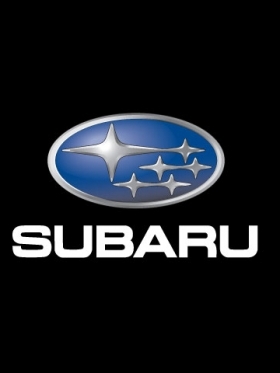 TOKYO -- The maker of Subaru-brand cars has tapped a marketing and sales specialist to be the company's new president and lead global automotive operations in the post-quake era. Yasuyuki Yoshinaga, 57, is currently an executive vice president at Subaru's parent company, Fuji Heavy Industries Ltd. He takes the title of president and COO, pending approval at the company's annual shareholders' meeting on June 24, Fuji Heavy said May 10. Current President and CEO Ikuo Mori will slide into the currently vacant position of chairman and retain the title of CEO, overseeing the company's entire operations, which include the manufacture of everything from windmills to airplanes, in addition to cars. Yoshinaga joined Fuji Heavy in 1977 and has spent the bulk of his career in domestic marketing and sales. He studied economics at Japan's Seikei University. While he has never been posted in the United States, Yoshinaga worked as a strategic planner helping make the U.S. sales arm, Subaru of America, a wholly owned subsidiary in 1990. He was instrumental in brokering the 2008 cross-holdings alliance with Toyota Motor Corp. Toyota expanded its stake in Fuji Heavy to 16.5 percent and agreed to supply Subaru with minicars for the Japan market, help on hybrid technology and jointly develop a sporty car. The Subaru veteran takes the reins as the brand struggles to regain its footing after being hit by the March 11 earthquake that hammered Japan's supply chain and paralyzed the industry. He said he expanding sales in emerging markets would be a big focus of his tenure.